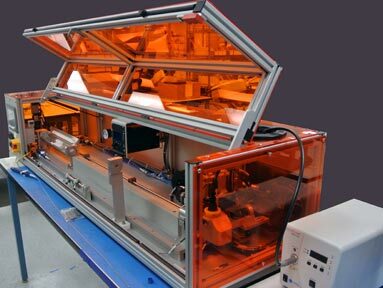 We custom design, engineer, and build automation equipment for the assembly and manufacturing of med-tech devices, with special emphasis on organic contamination control and chemical/materials utilization. Our goal is to enable our customers’ manufacturing competitiveness while ensuring confidentiality of their product and process innovation. Automated catheter tip radio marker ring sealing system incorporating pico jet dispense of 0.5nL, positional tolerance to 0.010”, UV cure and integrated video capture. IVD molecular diagnostics consumable metrology station for inline inspection of precision injection molded components, utilizing 2D and 3D cameras for dimension, flatness, and profile for critical surfaces. 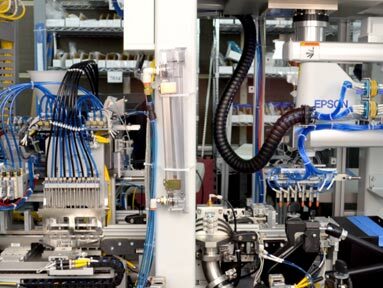 Automated electrophysiology patch clamp system manufacture and engineering upgrades for cost reduction and improved reliability. 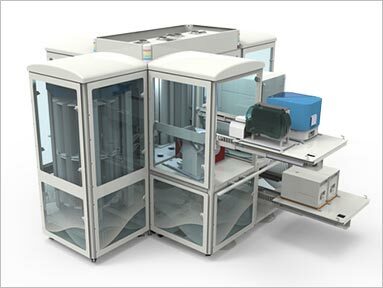 Lyophilized molecular diagnostic bead dispense system manufacture incorporating 4-axis SCARA robotics, machine vision, and part tracking. Lab automation platform integrating customer specified devices for improving assay throughput and reproducibility. Incorporates environmental control, precision liquid handling, automated plate handling, inherently safe robotics, and field re-configuration.